When you are looking for funeral providers in the Newark CA area, you have arrived at the right place. 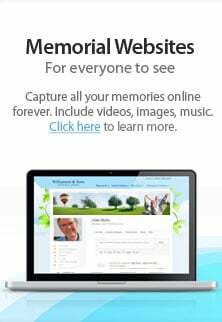 The Fremont Memorial Chapel funeral home website provides guidelines and information for those who are grieving, and may be looking for fitting memorials and services for loved ones. We are a proud family operated business with two funeral homes in Fremont, CA. We have been serving residents in the Newark CA area for many years with quality funeral services, memorial services, and cremation services. It is our hope that this website can provide you with resources you may need to begin planning funeral arrangements. Whether you are merely planning ahead or have experienced a recent unfortunate loss, we will cater to any need you may have. It is our philosophy to treat everyone that walks through our doors as family. Free from the rigid practices of national chains, we provide funeral services with a flexibility and a personal touch to the families that we serve. At Fremont Memorial Chapel, we respect and cater to all denominations, offering a wide range of funeral services such as traditional graveside burial, prearranged funerals, and cremation. We also offer traditional Catholic funeral services as well as Indian funeral services. All of the assistance you may need in choosing, planning, and budgeting whatever may fit your personal needs will also be provided. Each of our locations are staffed with funeral directors fully capable of offering friendly and understanding funeral services every step of the way. Our dedication to doing so has long been a source of pride, and we are perfectly happy to welcome all who may need our funeral services and direction at their time of need. Of course, we understand how difficult it is to put your trust in others when it comes to the care of your loved ones. It can be even more burdensome to decide which funeral home to help you with any arrangements you may be considering. We stake our entire reputation on offering dignified, high quality funeral and cremation services. Each of our funeral directors take immense pride in offering careful and detailed personal attention to all who choose to consult with us.Whether you need emergency services or are looking to make sure your own future is one day handled to your exact specifications via our Pre-Payment funeral plan, Fremont Memorial Chapel will make sure all is taken care of. All of the potential difficulties in the decision making process (such as matters of budgeting) will be handled with as much patience, understanding, and assistance as we can possibly provide. This is especially important given the stress and strain often associated with funeral arrangements.